One Mom's Moxie: blankZ Review and Giveaway! My daughters and I all love to color, it is something that is fun and relaxing. Coloring a picture that you have made yourself, or out of a coloring does not compare to coloring a blankZ animal! I was so happy that the founder of blankZ, Glenn Rudin, was so kind to send not one but three animals for my daughters and I to try! 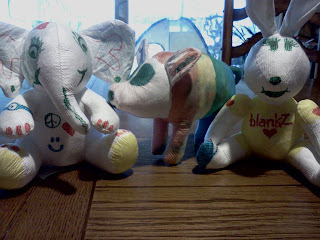 They have had fun coloring and re-coloring their blankZ animals. My youngest chose the Bare Hare(bunny), my middle daughter chose the Ele-Faint(elephant), and my oldest the Bloink(pig). Each blankZ comes with five markers black, red, blue, green and yellow. They are the only marker to be used on the blankZ material so that it easily washes out. The packaging the animal came in turns into a backdrop that you can decorate to have scenery for your animal. I have to admit I had fun decorating them too, it's neat to come up with different designs. There are quite a few animals to chose from on the blankZ site and they are all so cute! I especially like that they all have a silly name. These are great for all ages and both boys and girls. They are a lot of fun and affordable. Let your child's creativity show, over and over again! 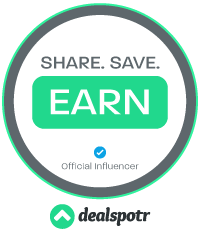 I am excited to share that the founder of blankZ was so kind to offer my readers a chance to win a blankZ animal!